Emerson School historians Margaret Cass and Connie Kuckuk will share memories and more. When Emerson Elementary School opened in 1920, the original building featured six rooms on the first and second floors and four rooms in the basement, serving students in kindergarten through ninth grade. The boys’ gymnasium was added in about 1922. Another addition in 1925 completed the building we know today. 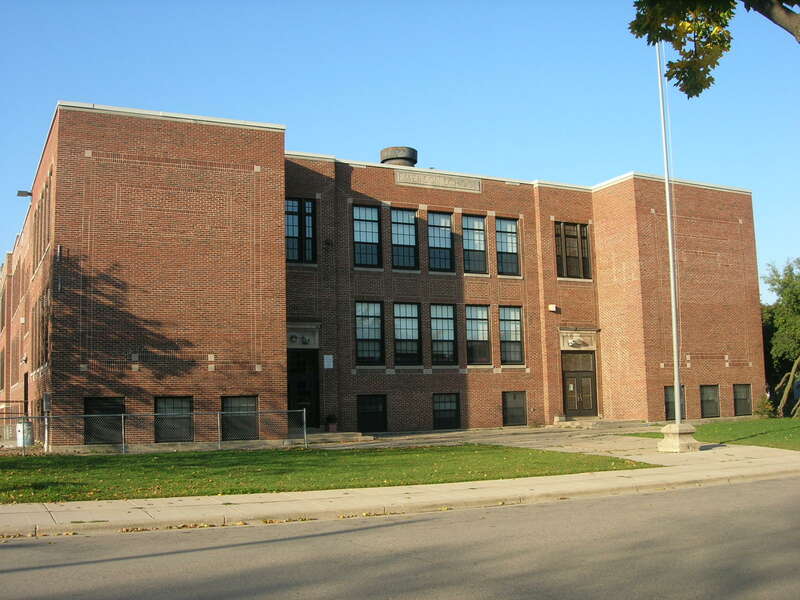 Emerson is the second oldest operating public elementary school in Madison. Bring your stories of Emerson School to share at our November meeting. Join us at the Goodman Community Center, 149 Waubesa Street, on Saturday November 19 from 2–4pm. $2 suggested donation. Alder Brenda Konkel blogged about a discussion concerning City Planning staff’s recent report on the fate of the Garver Feed Mill at the Landmarks Commission meeting November 9th. Read her post here. An ad-hoc group comprised of Lou Horst-Jablonski (Design Coalition, President SASYNA), John Martens (architect/developer, owner Madison Candy Kitchen landmark building), Sue Thering (UW Dept. of Landscape Architecture), Marsha Rummel (Alder, dist. 6) and yours truly representing the East Side History Club made a presentation to the Madison Parks Commission meeting Nov 9th recommending the city allow a more fine-grained, nuanced study of the building’s sustainability (considering each structural space, rather than all-or-nothing) to take place. 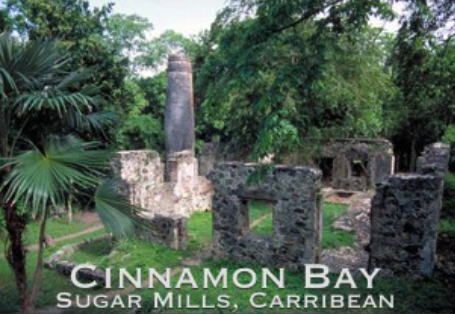 How about a "Garden Ruins" like this sugar mill historical site in the Caribbean for the Garver Feed Mill? Apply about $50,000 from the Mayor’s budget ($350,000 earmarked) for expert evaluation of preservation and use potential. I spoke about the history of the area, the linkage of the rail corridor to its terminus at the Garver/Olbrich site, and the East Side pride that would bring volunteers to work on the reuse plan and support of whatever vision emerges from the process. The East Side History Club will continue to follow this issue and report here! The “Old Sugar Castle” awaits new fate: what will become of the Garver Property? The fate of the beloved but delapidated Garver building behind Olbrich Botanical Gardens is again in play, since Commonwealth Development pulled back on its plans for an arts incubator earlier this year. On 11/3/11 a public meeting was held at Olbrich to seek community input on the project. A powerpoint deck presented by City Planning Staffer Dan Rolfs recapped a recent report to the City Council requested by the mayor. The full report is available online here. Several concerns are spurring the city to move quickly on a decision regarding the fate of the building now that Commonwealth’s plans have collapsed–primarily the fear that the building itself will collapse before a practical solution can be found. Other issues include the building’s landmark status, deed restrictions, challenging financial picture for adaptive reuse, the city “surplus” process that applies in this case, and the referendum process required because of the property’s proximity to both Lake Monona and Starkweather Creek. Scenarios covered in the planning department report range from a $16 million total rehab suitable for commercial use (requiring partnership with a developer/tenant) to a $1.1 million demolition with environmental cleanup including removal of lead paint, asbestos, and capping or filling of pits to remove danger. In between are options for saving the core building estimated at $4.2 million, or stabilizing the south wall to maintain only the facade (“the greatest architectual gem of the building,” according to Rolfs) estimated at $2.8 million. Questions from attendees included how cost estimates were arrived at and Olbrich Botanical Society’s expectation of continued use of about 14,000 sq. ft. of the property for cold storage and engine repair. 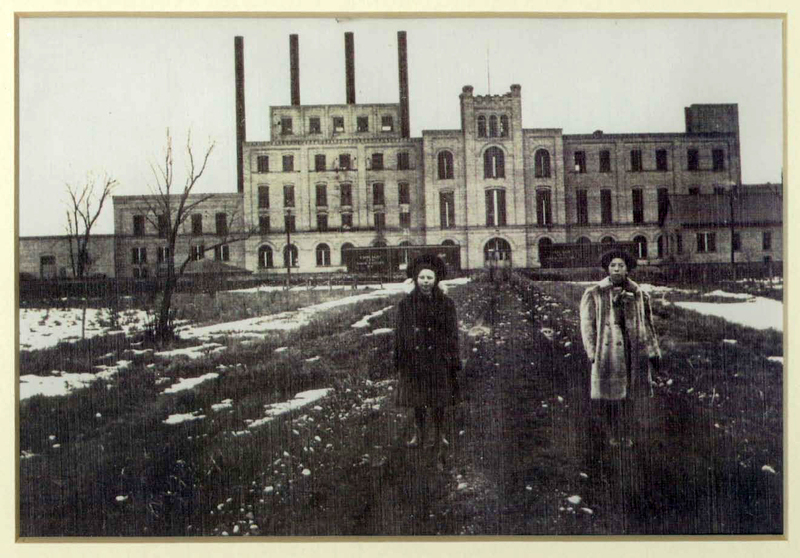 While Olbrich no longer has an interest in the property, having ceded their deed restriction some years ago, they have continued to use the property anticipating of Commonwealth’s project which would have included space for their use. 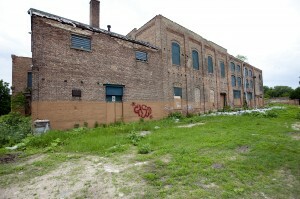 Mayor Soglin has asked for a final decision on the property’s fate by May 2012. A meeting with the Board of Park Commissioners, open to the public, takes place on November 9th at Warner Park Community Center, 6:30 p.m.. The south facade, more recently.